Commercial & Residential Plumbers | Long Plumbing Co.
Our Long Plumbing Company division is a full service plumbing company offering installation, repair and maintenance services. We service both residential and commercial clients throughout Southeast Michigan. Why call Long Plumbing? Our more than 60 years in the plumbing industry, abundant repeat business and referrals, plus files full of testimonials from satisfied customers prove we know plumbing! No one really wants to think about plumbing (well, maybe we do!). It should be functioning quietly in the background... but when a problem arises – a plugged toilet, a leaking faucet, a sewer backup or a failed water heater, you want FAST, RELIABLE SERVICE! At Long Plumbing, our licensed and experienced plumbers will fix your plumbing problem RIGHT…RIGHT AWAY. In addition to repairs, our services include replacements, installation and maintenance to keep all your plumbing in optimum working order. When you face a plumbing problem, you can rely on Long Plumbing's skilled technicians to get your plumbing working again as soon as possible. Call 248‑349‑0373 or submit our convenient Service Request Form to schedule service. Emergency repair service available 24/7. 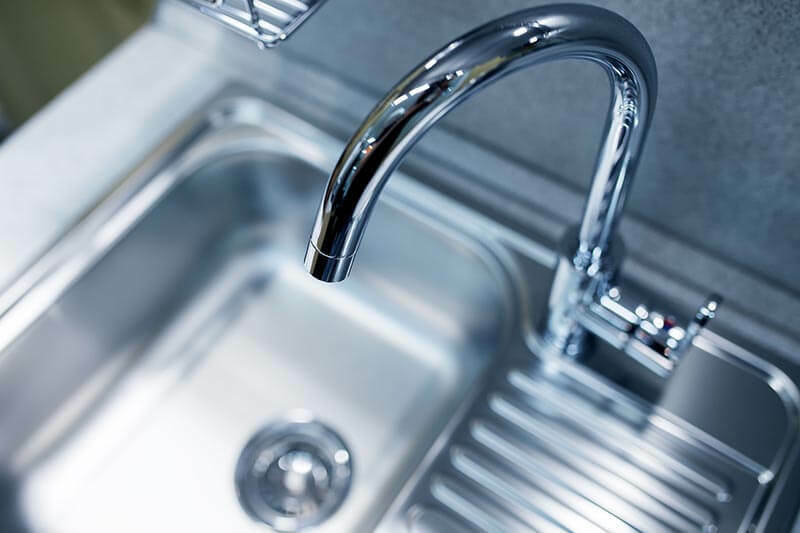 We carry a broad range of plumbing products including sinks, toilets, showers & tubs, faucets, laundry sinks, garbage disposals and water heaters from top manufacturers. With more than 6 decades in the plumbing business, we've gained the experience to recognize quality products, and we recommend only those that we know will hold up over time. Our experienced staff can help you select the best product for your needs, and our skilled installers will have things set up and working in no time. For our commercial customers, regular inspections, plus planned and preventative maintenance performed by Long Plumbing's certified technicians will keep your plumbing systems functioning. Regular maintenance can save you money in the long run by adding years of life to your pipes and fixtures, reducing down-time and avoiding emergency repair costs. Residential plumbing customers can also benefit from periodic or annual inspections to check for leaks or cracks in fixtures. Fixing small leaks will save water and lower your water bill. More importantly, catching problems early when they can more easily be fixed can prevent more costly repairs later and avoid potential damage to your home. 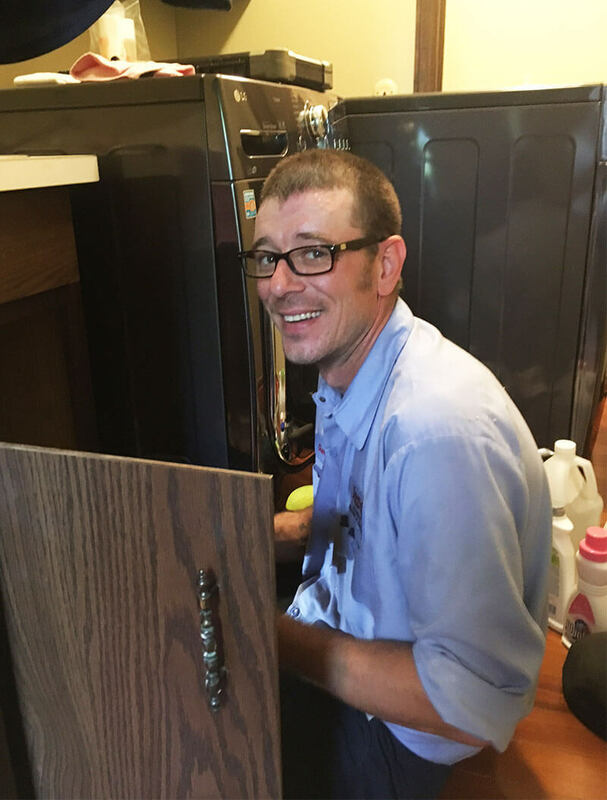 Ourfriendly, professionally trained plumbing technicians will answer any questions you may have about the recommended plumbing service or products and explain what will be necessary to install or repair the systems, fixtures or equipment in your home, office or other commercial property. Our number one goal is a satisfied customer. Based on our repeat business and client testimonials, we are doing things right. Our customers recommend us for our exceptional quality, competitive pricing, integrity and attentive customer service. Our technicians are skilled at troubleshooting issues and are equipped with the latest diagnostic tools. To schedule service please call 248-349-0373 (between 7:00 am and 4:00 pm) or submit our convenient Service Request Form, and we'll arrange your service promptly. Our scheduling staff will give you a timeframe when they schedule your service appointment. Our technicians will give you a courtesy call when they are on their way. For immediate assistance, please call our 24/7 Emergency Service line at 248-349-0373. When it comes to plumbing, heating & cooling, you need a rapid response and confidence that the job will be completed correctly. I know I can count on the Long family of companies to provide me with the ultimate in satisfaction. We know that our repair needs will be handled promptly, courteously, and at a fair price. No matter who we talk to at your place of business, there's a smile in the voice and a hometown, friendly attitude. We appreciate your work ethic, friendliness, and excellent service. I have called Long's for a complete bathroom remodel, for routine plumbing and a tough retro-fit job on my main gas line. All of this work was completed in a professional manner, with a reasonable price and on time. 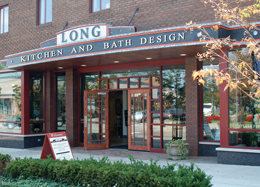 My husband and I have lived in Northville many years and we have relied on Long's Plumbing for many different services. The fact that they come at the quickest time possible, plus, do a good job and are always there for questions, make Long's an excellent choice for service. Long Plumbing was clear on when they would arrive. When the tech arrived he quickly repaired our problem and he was very helpful in answering ALL my questions. We love to share our knowledge. Here are some quick answers to a few of the most common questions people ask us. Call us today – we've got answers to your plumbing questions. Why is my toilet backing up? There are many reasons your toilet could be backing up, ranging in scope and cost from something as simple as a weak flush or blocked plumbing vents to the dreaded main sewer line clog or septic system issue. Tackling plumbing projects that are outside your skill level or knowledge can result in mistakes that may cause more harm than good. Hiring a professional can help minimize errors and maximize results. Listening to your home’s early warning systems can often prevent, or at least minimize, severe sewer and plumbing catastrophes, but a qualified plumber is the best way to get to the source of your plumbing issues and help you solve them effectively and economically. Why does my toilet flush/run on its own? A toilet that cuts on and off by itself or runs intermittently has a problem that plumbers call a “phantom flush,” caused by a slow leak from the tank into the bowl. This type of leak is most often caused by a bad flapper or flapper seat. A typical toilet tank has a flapper that seals the water in the tank. When you flush the toilet, the flapper is lifted and water is allowed to move from the tank into the bowl. Once a set amount of water has exited the tank, the flapper falls back down and re-seals the tank. If you want to confirm that your flapper is leaking, pour some food color into the tank and check the bowl a few hours later. If the water in the bowl is discolored, the flapper is not sealing properly. The solution is to drain the tank and bowl, check and clean the flapper seat, and replace the flapper if it's worn or damaged. If that doesn’t work, it’s possible that the seal where the flapper seat has deteriorated over time or you have a leaky fill valve. If you don’t have the time or patience to tackle this yourself, one of our certified plumbing technicians will take care of your issue in a jiffy and let you spend your time on the things you enjoy doing! How do I choose a water heater? The type, size and efficiency of the water heater unit you choose can have a big effect on its performance and your long-term savings. Once you determine your fuel type (natural gas, propane or electric), you’re left choosing between a huge assortment of traditional tank and tankless water heaters on the market, along with newer styles of heat pumps and solar-powered water heaters. Ideally, you want to select a water heater that will produce enough hot water for your household’s needs in an energy-efficient way. Replacing an old water heater with a newer comparable model is something a DIYer may be able to accomplish, but when the connections from an old unit to a new one aren’t in the exact same place, some re-piping may be in order. 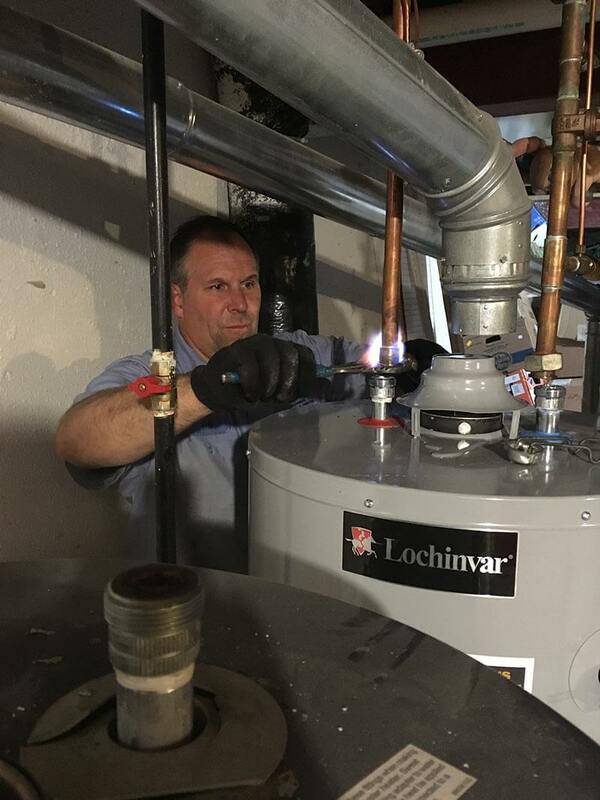 The installation of a new water heater can require running gas lines, electrical, and setting up proper ventilation and should be left to a professional plumbing technician. Ask yourself these questions: Has my basement flooded before? Do I live in a flat or low-lying area with soil that easily holds water? Do I get large quantities of rain or snow where I live? Is my basement finished, and is it furnished with or used for storing costly or irreplaceable items? Do I have a sump pump that is 6 years old or older? If you can answer “yes” to any one of these questions, you should strongly consider purchasing and installing a new sump pump. To determine if a pedestal or submersible sump pump is right for you, what materials and options to consider and to make sure your sump pump is installed properly to protect your home against costly water damage, you will want to enlist the services of a qualified plumbing technician. What is the difference between a water activated and a battery activated backup sump pump? When your primary pump fails, you’ll want to have a backup system in place that will keep your basement dry for an extended power outage or primary pump failure. Backup sump pumps can be water activated or battery activated. A water-powered backup pump is powered by your home’s water supply, requiring a reliable municipal water supply consistently achieving 20 psi or more. Water-powered pumps come in two styles: in-sump and above-sump, each with advantages and disadvantages. Check with your local building inspection department or licensed plumbing professional to guide you through the local regulations that might also dictate which style you select. Battery-powered backup systems are simple to install, require no water supply and generally come in several models (good, better and best). Knowing how often your primary pump runs should help guide you in selecting the most cost-effective battery-powered backup system to get the job done. Home centers carry a confusing array of backup sump pump systems. Call on the plumbing experts at Long Plumbing to help you evaluate your options and install a system that will let you rest easy!